South Australians living with dementia are set to benefit from the unique Nightingale Nurses service recently launched by Alzheimer's Australia SA. Consisting of specialist nurses the new service is available to anyone living with dementia, their families and carers. 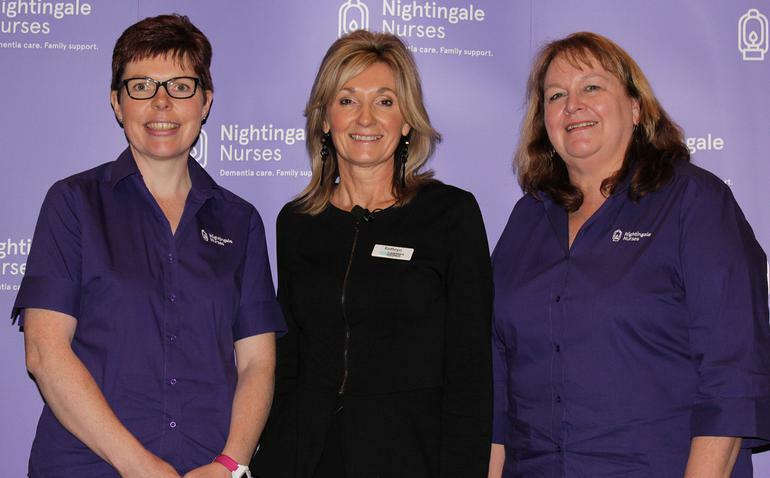 “Our Nightingale Nurses will take a holistic approach from the point of diagnosis continuing till after the person with dementia has died, by providing care, counselling and support ensuring the family feels supported and cared for throughout the Dementia Journey,” says Kathryn Quintel, Alzheimer's Australia SA Chief Executive Officer. Using skills in palliative nursing care to identify and assess any symptoms, physical, social, psychological or spiritual, the nurses will make appropriate suggestions or referrals to specialist services for these symptoms to be managed. Nightingale nurse, Carolyn Hastie says helping with advanced care planning, building relationships for the family and helping when decisions need to be made are also part of the service. Other ways in which the service can help includes facilitating communications. “If someone is progressing, they may need different meds so we will speak to GPs and call for case conferencing if they are in an aged care facility,” she says. Ms Hastie believes communication within aged care facilities is an important aspect, citing instances of care homes not informing families of changes to a person’s medications. Nightingale Nurses are currently only available to visit with clients in the Adelaide metropolitan region. Telephone and video conferencing support can be provided to families in Adelaide or other areas of South Australia, and one-on-one visits to regional South Australia can be arranged if required. Other service providers are encouraged to contact them regarding a palliative approach for people with dementia, and the organisation will look at educating aged care staff and upskilling them with end of life care in the future. While the service is currently only available in South Australia, it is hoped it will eventually be rolled out nationally.